Benefits to solution provider partners include generous rebates focused on profitable behaviors such as driving new business, service sales (inclusive of consulting, deployment, support and education services), training participation and selling the full portfolio. As a partner progresses their tier, their benefits increase. 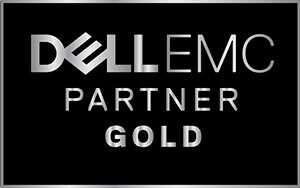 The new program tiers, developed to elevate Dell EMC Partners over competitors and establish a clear path to level-up, include Titanium, Platinum and Gold, as well as a new status level within the Titanium Tier, Titanium Black. ANM designs, implements, and supports IT solutions from leading providers of technology, including Cisco, Dell EMC, NetApp, VMware, Splunk, and F5. By focusing on these industry leaders and technology trendsetters, we are able to deliver a high level of expertise. Our dedicated professionals working with these manufacturers are experts in the products they manage. ANM enjoys a customer satisfaction rate of 94.9%, as well as an excellent employee retention rate. We have become a recognized leader in the IT industry, serving large and mid-sized customers. Headquartered in Albuquerque, NM, ANM has offices in Denver (CO), Colorado Springs (CO), El Paso (TX) and Scottsdale (AR).